Hi, we're Kristin and Danny Adams, and in February 2016, a lip-sync video we posted on our Facebook page went mega-viral and kinda, sorta COMPLETELY changed our lives. To date, it's been viewed over 300 million times, and has helped grow our online community to nearly 1 million people. We are passionate about finding the funny in life and relationships, and we post new videos every Friday. Before we starting making videos, we both worked in the entertainment industry in Los Angeles for 15 years. Kristin as a television host and correspondent, and Danny as an actor, comedian and stunt man for sports commercials. Even in the midst of our separate careers, we always new that the ultimate call on our lives was to work together in some capacity. Cut to May 2016, when we decided to leave Los Angeles and move to Danny's hometown of Indianapolis, IN in order to focus our efforts in producing online family-friendly content where God is always welcome. When we aren't making videos, we are homeschooling our two children, Harper (8) and Holt (5), traveling across the country hosting and emceeing live events, speaking at marriage conferences, and performing our "Laughter Is The Best Medicine" program. If you're not already following us on one our our social platforms, we invite you to do so! The best way to see all of our videos and updates is to get them sent directly to your inbox! We also share some fun behind-the-scenesy stuff, happenings from our travels across the country, AND you’ll be the first to know about our social giveaways and discounts to our online store! If you'd like to book us for an event, please click HERE. 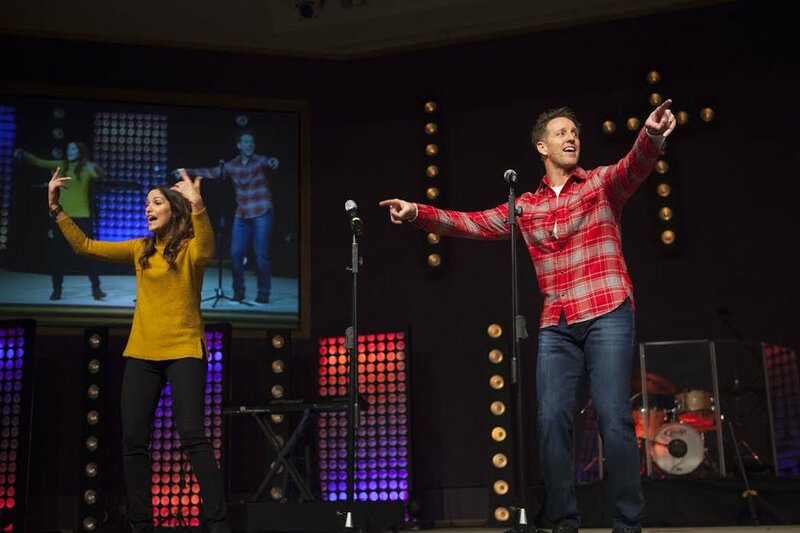 Are you looking for energetic, witty hosts for an upcoming live event? Searching for some fun and family-friendly entertainment for a corporate, church, school or charity function? 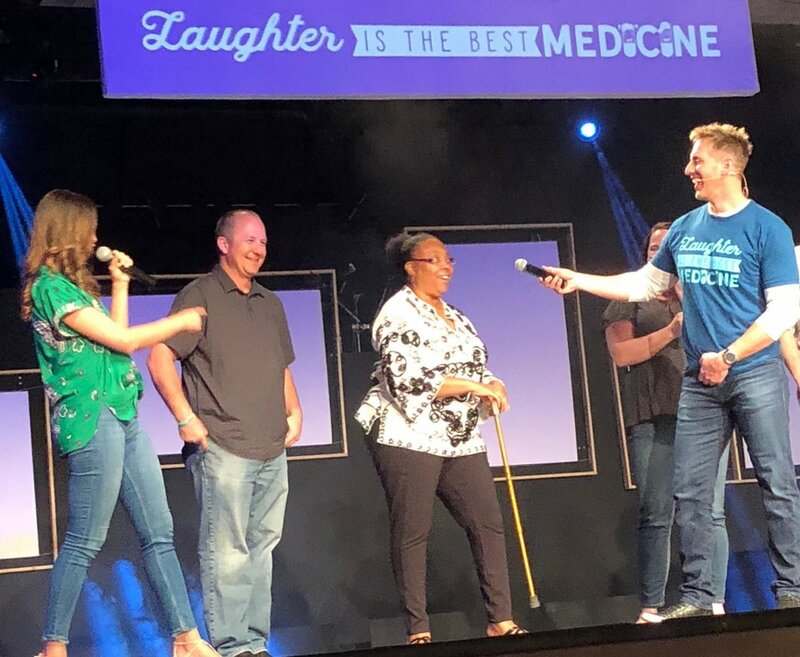 We would be honored to provide a night of love and laughter with our "Laughter Is The Best Medicine" program! We would also love to talk all things marriage and healthy relationships at your church's marriage conference! One of our greatest joys in life is working together to encourage and bring joy to others. As husband and wife, our unique brand of entertainment creates a world class hosting duo full of love, fun and laughter for all ages. Our passion is to transform your function into an unforgettable event. Please fill out this form and we will be in touch within 24-48 hours.